Discover how to shift focus from success and happiness to significance and fulfillment at the largest event for all segments of industry. Kearney, MO – The In-Plant Printing and Mailing Association (IPMA) is excited to announce Pete Smith, international speaker and best-selling author, will be a keynote at IPMA’s 2019 “Be a Front Runner” Conference in Louisville, KY, June 2-6, 2019 at the Galt House Hotel. His keynote flips conceptions of what drives individuals and organizations to maximize contributions, be inspired, and boost morale through a focus on significance and fulfillment as opposed to traditional ideas of success and happiness. It will take attendees on a journey through how to incorporate significance into their personal and professional lives, and, by doing so, become “unstuck”. Pete Smith is an international speaker and trainer in the fields of leadership, management, personal growth and development. His energetic, witty, and conversational style is complimented by his ability to provide practical takeaways that actually work, all while having a little fun in the process. He is the author of Dare to Matter, the #1 Best Seller in the Human Resources and Personnel Management Category, and the #2 Best Seller in the Business Motivation and Self-Improvement category. Prior to launching SmithImpact in 2011, Pete was the Operations Executive at one of the largest non- profit, alternative schools in Northern Virginia. During his tenure, he helped increase the organization’s total income, employee base and client base by over 102%. For more information, visit Pete’s website at http://www.smithimpact.com/. 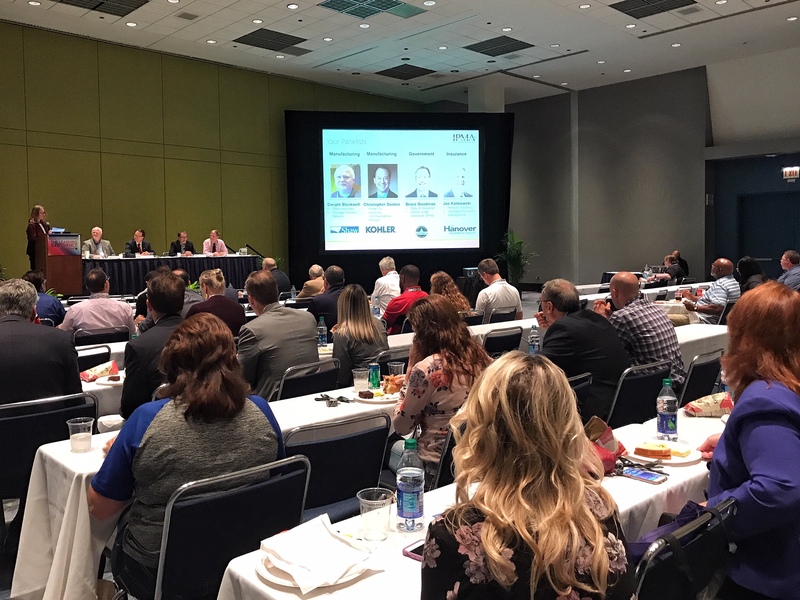 IPMA’s conference is the largest In-Plant event for all segments of industry and brings In-plant print and mail professionals together for education, a vendor fair, industry awards, In-plant tours, and more. The 2019 conference will be held June 2-6 in Louisville, KY at the Galt House Hotel. Registration is now open, and an early bird discount is available until December 31, 2018. Visit https://ipma.org/ipma-2019-conference/ for details. Founded in 1964, the In-Plant Printing and Mailing Association (IPMA) is the only professional association dedicated exclusively to meet the needs of all segments’ in-house printers and mailers. The nearly-700 members of IPMA are managers and directors from in-plant printing and mailing facilities throughout the United States. IPMA is headquartered in Kearney, MO.